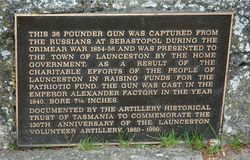 A Russian artillery piece captured at Sebastopol during the Crimean War commemorates the 130th anniversary of Launceston Volunteer Artillery. 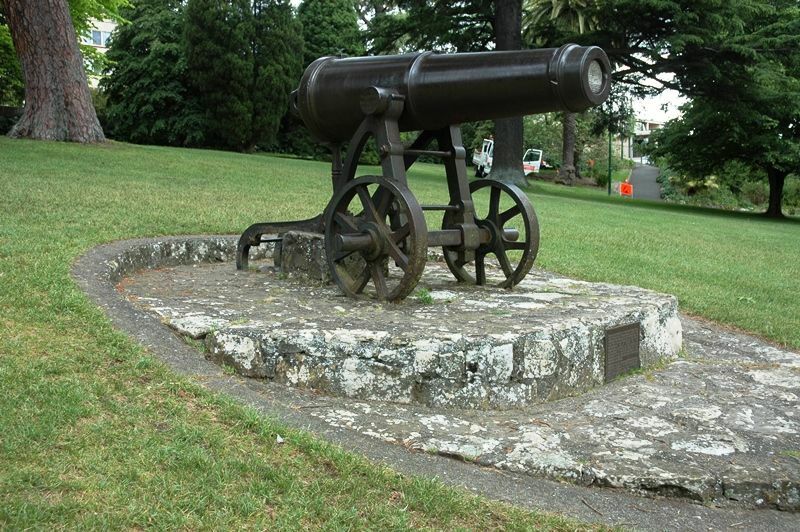 This 36 pounder gun was captured from the Russians at Sebastopol during the Crimear War 1854 - 56 and was presented to the town of Launceston by the Home Government, as a result of the charitable efforts of the people of Launceston in raising funds for the Patriotic Fund. The gun was cast in the Emperor Alexander Factory in the year 1840. Bore 7¼ inches. Documented by the Artillery Hisotrical Trust of Tasmania to commemorate the 130th anniversary of Launceston Volunteer Artillery, 1860 - 1990.